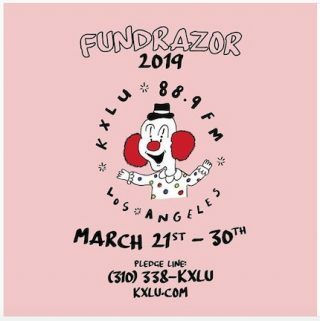 KXLU’s Annual Fundrazor starts Thursday, March 21st! 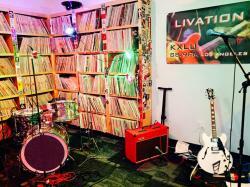 KXLU 88.9fm depends on donations from the public to stay on the air. It is a commercial-free non-profit that doesn’t accept corporate contributions, making it a truly independent radio station! Long-time listeners, brand new listeners, or anyone interested in supporting the station can make tax-deductible donations between March 21st & 30th by calling (310) 338-KXLU (5958) or by going online at any time to KXLU.COM. While you’re at the website you can check out the cool merch to either pledge for or buy, like KXLU t-shirts, a license plate holder, or a Zippo lighter. All donations go to KXLU’s annual budget to maintain equipment, licensing, and other station related expenses. Listen to KXLU 88.9fm in Los Angeles, streaming live at kxlu.com worldwide.